Afew months back, I was introduced to Happy Plugs Earplugs c/o Space Invasion SG & I loved them - Am still using em' on a daily basis up to date. In the photo above, I am wearing their Rose Gold Ear Plugs, which are so much prettier irl! If you don't already know... Happy Plugs is a Swedish brand that creates and manufactures stylish mobile accessories born with the ambition of transforming essential tech accessories into fashion must-haves. Happy Plugs is designed in Sweden, known for its vibrant fashion and music scenes. Our idea is simple; we believe that mobile accessories not only should fit your mobile device, but also fit your style. We like to keep it elegant and classic, but yet fun and affordable. Happy Plugs are currently available in over 6,000 shops in 70+ countries worldwide. Atlas Sound & Vision Pte Ltd held the launch to present latest flagship products Sound Piece and Sound Piece Mini by Swedish fashion and lifestyle brand Happy Plugs at klapsons, The Boutique Hotel which I had the opportunity to experience first-hand the state-of-the-art sound technology and minimalist Swedish design. Luxury boutique hotel klapsons was aptly chosen as the launch venue as all 17 rooms in the hotel, each uniquely designed, have been outfitted with a set of Happy Plugs Sound Piece Mini speaker for guests to enjoy as part of the tailor-made klapsons’ experience. 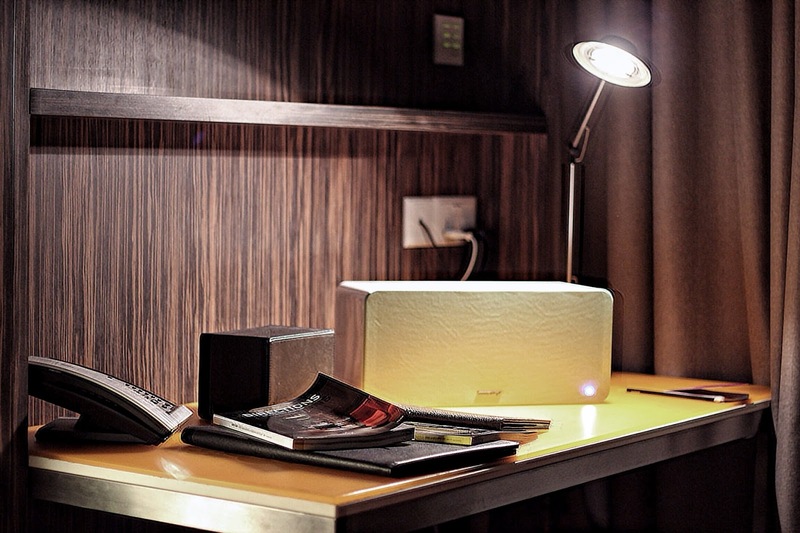 Just like each room at klapsons is uniquely designed, each Happy Plugs Sound Piece Mini’s front grill is customised to match the room’s interior style. Happy Plugs Sound Piece is crafted for the modern sophisticated home owner, marrying interior design with consumer electronics. 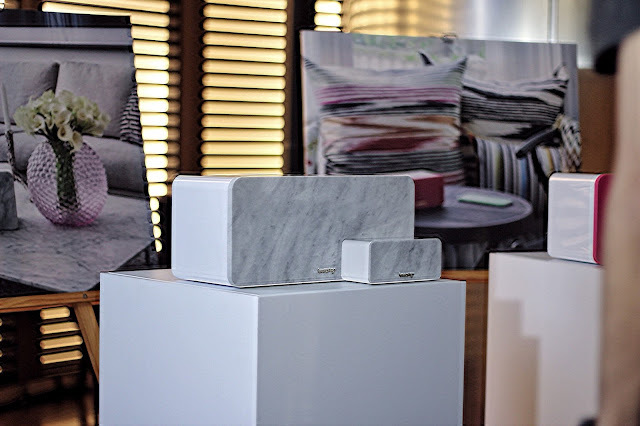 Just as how fashion accessories and gadgets help reflect a person’s lifestyle and personality, a home speaker should fit the aesthetics of each home. Happy Plugs Sound Piece does just that with customisation. With exchangeable grills in multiple designs and colours, the Sound Piece integrates easily into the home as an essential centrepiece and music centre. For those on the go, the Sound Piece Mini is a compact and portable speaker that fits into one’s carry-on. A built-in microphone also allows the device to double up as a conference speaker and speakerphone. How often is it that you see customisable speakers?! Needless to say, I'm absolutely in love. My favourite of the lot is this gorgeous marble design!